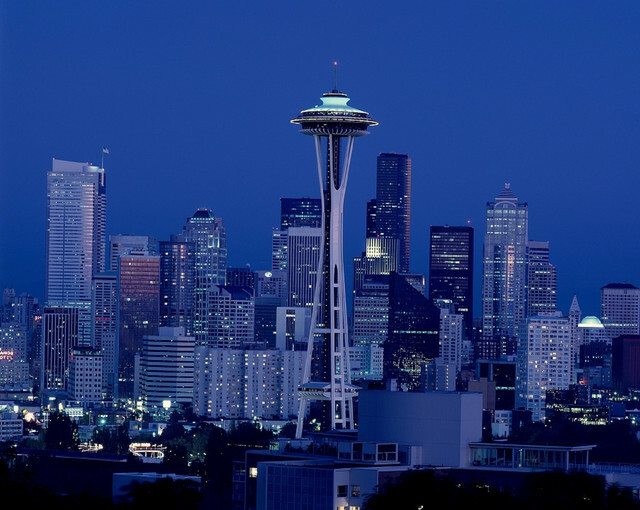 If you book a surprise trip to Seattle, while the trip may be a surprise for the person or people you have booked the trip for, trust us when we say that Seattle itself will probably surprise all of you, and in a good way. It’s very easy to fall into the trap of latching on to a local tour guide and allowing them to show you the best Seattle has to offer. There’s only one problem. You only get to go where everyone else has been before, and often these places are those that offer the best ‘incentives’ for guides to include them in their tour. It’s true, there is a whole lot more to see in Seattle than just the Space Needle, but boy do you get to see a lot of Seattle from the Space Needle itself, especially since it has just had a $100 million makeover. To be honest, any surprise trip to Seattle has to include a trip up to the top of the Space needle, unless you’re scared of heights! If we were to mention Café Nervosa, would that ring a bell? Perhaps if we were to say that it is second only to Central Perk as the most famous coffee shop on TV would that help? Okay, we’ll admit it, you won’t actually find Café Nervosa, the haunt of Frazier Crane, in Seattle for two reasons – only the 100th episode of the hit sit-com Frazier was shot in Seattle, and the coffee shop never existed. However, Elliott Bay Café does exist, and it was this coffee shop which was the inspiration for Café Nervosa. It also makes a damned fine cup of coffee. Five unusual places to visit on a surprise trip to Seattle? Go meet the Freemont Troll – built in 1990 to prevent drug users from gathering under a bridge, the troll succeeded and has become a bit of a local ‘celebrity’. The Giant Shoe Museum has to be seen, if only to say you’ve been. It’s kitsch and not your average museum. The fact that entry only costs fifty cents should tell you it’s not exactly huge! Just under Pike Place market is the world-famous gum wall, where it has become a ritual to leave your gum. The city has cleaned the wall twice, but now given up and instead has embraced this quirky ‘tourist attraction’. Drink craft beer and play indoor mini golf, giant Jenga or Connect Four in Pioneer Square – great fun for hours, and you can even take your dog in there if you’ve brought him or her with you. So, if you weren’t sure about visiting Seattle for a surprise trip or surprise vacation before, hopefully with what you have just read about the city, it is now high up on your list of places to see.